How often are you refreshing your fleet? Home / Blog / How often are you refreshing your fleet? The material handling equipment in your fleet should always be reliable. But keeping up a dependable fleet sometimes requires maintenance and tune-ups. It also necessitates the occasional replacement. As a fleet manager, you likely strive to identify the perfect moment to replace a vehicle. If you do it too soon, you won't get your money's worth from the older model. If you do it too late, you will have to juggle replacement with managing downtime, which you'll pay for in lost productivity and even reduced safety. So what's the perfect fleet replacement schedule? It all depends on your operation. The environment in which your trucks operate may have the biggest impact on lifespan of your equipment. An indoor environment will have significantly less wear and tear on a fork truck than a rocky or unlevel outdoor workspace. When your employees inspect the trucks at the beginning of each shift, they should be able to see when environmental conditions affect vehicle health. Perhaps the truck is still operational and compliant, but that doesn't mean there aren't signs of rapid aging. Make sure your employees note when trucks or their critical components are beginning to near the end of their lives. The frequency and quality of equipment maintenance also has a major impact on your the lifespans of your fork trucks. By keeping track of the amount of maintenance you perform on a vehicle, you will notice when a replacement would be beneficial. There comes a point in time when the total cost of ownership becomes more costly than investing in a new asset, in part because of increased maintenance demand. 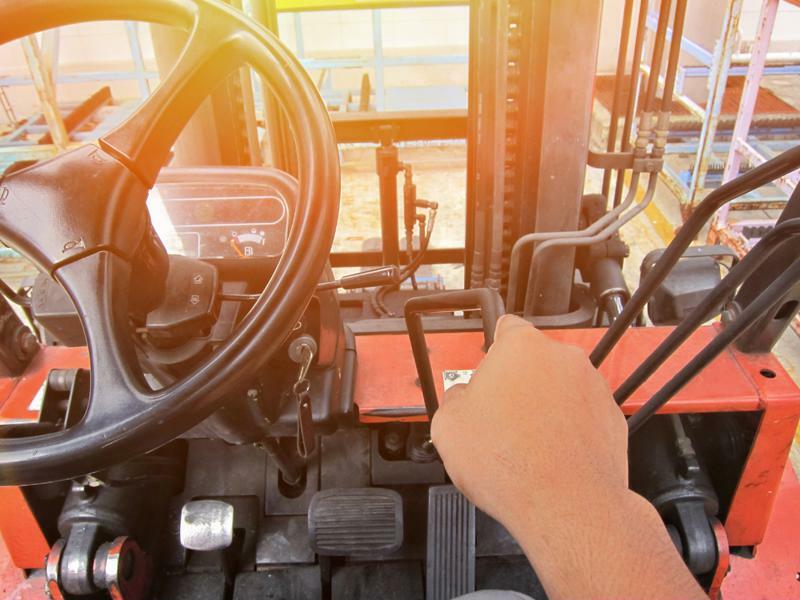 A computerized maintenance management system (CMMS) can help you monitor vehicles that are taking more time, money and labor to stay operational. Maintenance, environment and utilization all impact how long a forklift will last. A lift truck that's used daily will generally wear out faster than one that's minimally driven. Tracking utilization rates can help you identify which trucks are most likely to require a replacement and when. Utilization rates can also alert you to patterns in your warehouse, such as one truck being used far more or far less often than others. Perhaps that passed-over truck is in need of replacement, or maybe the favorite one is a model you should invest in again because of features that drivers appreciate on the job. Anyone who operates a forklift in your facility must be trained, but there's no requirement as to where that training takes place. There are many benefits to hosting it at your facility. One is the ability for employees to get to know the specific equipment in which they will work. They will then have a better opportunity to ask specific questions about the lift trucks at your facility and understand how to safely operate the vehicle in your unique work environment. If you lease equipment, you can quickly and easily arrange for the removal of older equipment and the integration of newer models. If you buy the precise number of vehicles that your facility needs, you'll have fewer space constraints and trucks to maintain. However, you also risk having a shortage should a truck unexpectedly fail. Another strategy is to buy and hold lift trucks. This way, they're available immediately when you need them. But you will still need to manage and maintain fleet you don't use, which is why many facilities opt to lease vehicles in anticipation of peak seasons. With a vehicle replacement plan that encompasses environment, maintenance, utilization, training and leasing, you can make economically sound asset decisions for your company. An embedded technician can also assist in evaluating vehicle replacement schedules. National Maintenance Services provides dedicated technicians who will work to maintain and assess your equipment and help you determine when it's time to update your fleet. To learn more, reach out to NMS. By Charlie Buelow|2019-01-16T10:55:30-04:00January 16th, 2019|Uncategorized|Comments Off on How often are you refreshing your fleet?